Nose piercings sometimes lead to a small bump formation and this could be an infection. The raised red bump typically occurs within a few days or a month after getting the piercing and it is important to ensure that the infection doesn’t develop into scar tissue. This type of scar tissue would be a keloid, which is a large scar that could continuously develop outside the piercing. Generally, a nose piercing bump should clear fast. However, if you are dealing with a stubborn bump that does not clear even with treatment, it is important that you seek medical attention to prevent scarring from occurring. Below we listed the most effective home remedies for getting rid of nose piercing bump. Both pustules and granulomas can be easily treated with home remedies. Granulomas respond positively to topical applications of tea tree oil and hydrocortisone creams. Pustules on the other hand can be treated with antibiotic gels and creams as they contain tiny infections which are localized. Keloids and all forms of scar tissue require medical attention. Abscesses are serious medical conditions that you should not ignore. Sea salt soaks can be very helpful in treating nose piercing bumps and all you will need for this remedy is some cotton, warm water and the sea salt. Place a cotton ball into the sea salt solution before placing it on your nose. Let the solution soak in for a few minutes and use this treatment once or twice a day, for 15 to 20 minutes. You can also have direct treatment by dipping the nostril if possible into sea salt mixture. However, it’s recommended that you rinse the nostril to prevent salt from drying within the nostril. This treatment can clear your infection fast and eliminate the piercing bump. Chamomile tea could also work especially if the sea salt solution is not working. Simply dip the tea bags in warm water and compress it on the piercing site. Let the tea bag sit for 10 minutes and when the tea bag losses its heat, re-dip it in the tea. This treatment can also be used with sea salt soaks. 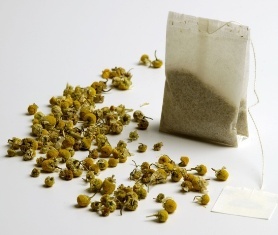 Stubborn bumps sometimes resist the chamomile and sea salt treatment. In such cases tea tree oil should be a suitable treatment. Dilute a drop of tea tree oil with any skin friendly oil and apply it on the piercing with a cotton bud. Use this treatment twice a day for best results. 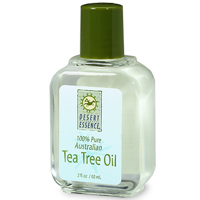 Tea tree oil is a potent antiseptic and it can therefore kill germs and dry the skin. Do not use it excessively. Place a bottle of aspirin into a glass with very little water and let it turn into a paste. Apply the mixture into the infection every night before you sleep and watch it heal in just a few days. Aspirin is an anti-inflammatory drug which means that it can heal your infection without causing an irritation. It is also easily available and affordable. The anti-inflammatory properties in aspirin can reduce the bump and completely disseminate it leaving you with a clear, painless piercing. 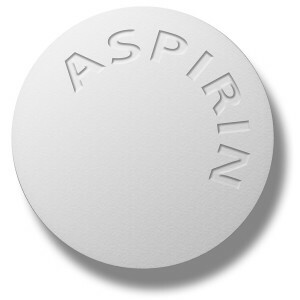 Aspirin is easily absorbed into the skin and also allows the infection to easily drain. Should I Change the Jewelry? Sometimes the cause of the infection is the choice of jewelry.Ensure that you only use quality jewelry which you can purchase at the piercing studio. Don’t go for the free stuff. The best quality would be titanium CBR, niobium, or surgical stainless steel. That said; you should not change your jewelry before the piercing is completely healed as this could introduce harmful elements that could cause an infection. It’s important that you clean the piercing with sea salt soaks, three times a day or with any of the above remedies. Once you are certain that the piercing is healed, you can proceed to change your jewelry and again, only use good quality jewelry. Not all nose piercings are a sign of an infection and the bump on your nose could simply be a granuloma. Granulomas are brought about as a result of overgrown normal body tissue and they are benign which means that they are harmless. The author of ‘The Piercing Bible’ Elayne Angel compares granulomas to raw hamburgers due to their red and raw formation. However, granulomas bleed easily and they also could drain a yellow or clear fluid. Asian and black populations are at a higher risk of developing keloids (a type of raised scar) than other races. Bumps with infections tend to resemble a pimple and could even have pus. Pus is a sign of an infection and if left untreated, this infection could form an abscess or pustule. An abscess is a hard lump formation under the skin and this is a reaction brought about when the body attempts to isolate and encapsulate a chronic infection. Piercing infections occur occasionally and if your bump is tender, pink and resembles a pimple, it is infected. When it comes to scar tissue formations such as keloids, it is advised that you seek medical attention. Also, if the bump does not improve after about three weeks of topical treatments and home remedies, you need to see a doctor. This is especially important if the bump becomes larger. If symptoms such as a thick smelly discharge, fever or you begin to see dark streaks coming from the piercing, you need to see a doctor.